News in Youth Services: Need a Good Book? Ever stuck for a good book? Do you have a reluctant reader? Let me tell you about this amazing site called NoveList K-8. It gives you a whole lot of sorting options and who doesn't like options. You can sort by age groups, genres, interest and award winners. Love movies? There is even a sort where you can read books that have been made into a movie. If you are like me, books covers are usually what first catches my eye. Hover over a cover of a book and it will provide you with a brief summary of it. Click the book cover and it will provide you with more information such as the publish date, the Lexile level, if it is an AR book and the point value, what number it is in a series, how popular it is and what is the recommended book age range. Here's another great feature. 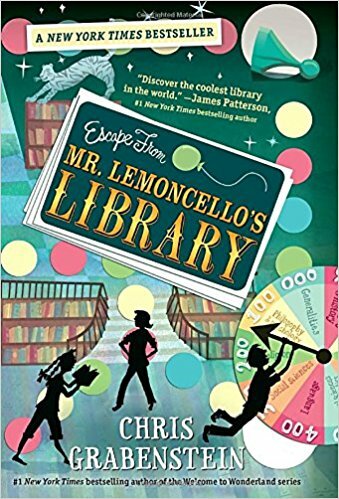 Say you loved the Mr. Lemoncello series by Chris Grabenstein. Type in one of the titles and hit search. A summary of the book will pop up along with the book jacket. On the right side of the screen, you will see books that are "read-alikes." You can scroll down and see if any of them interest you since they have common themes with Mr. Lemoncello. If you scroll down, there is another way to search for other "read-alikes" by clicking on different categories based off of features or topics from the book. Read Across America is coming up in a few weeks. Sometimes schools ask parents to come in and be a guest reader at their child's school but they don't always provide the book. NoveList can help you select just the right book by selecting the age range, deciding if you want a funny book, a mystery or something in the realistic fiction realm. I tell you, this site does it all except read the story to you! You really need to check this out!